My only TV show ends next Wednesday. I'm really only hoping for one thing, and that's that they don't kill Klaus, or Caroline for that matter. Please see my tumblr for an incredible amount of PicSpam of said episode and quotes. I d/led the ep 2.1GB worth every byte. Klaus was introduced as a 'villain' I suppose, on The Vampire Diaries in 2011. 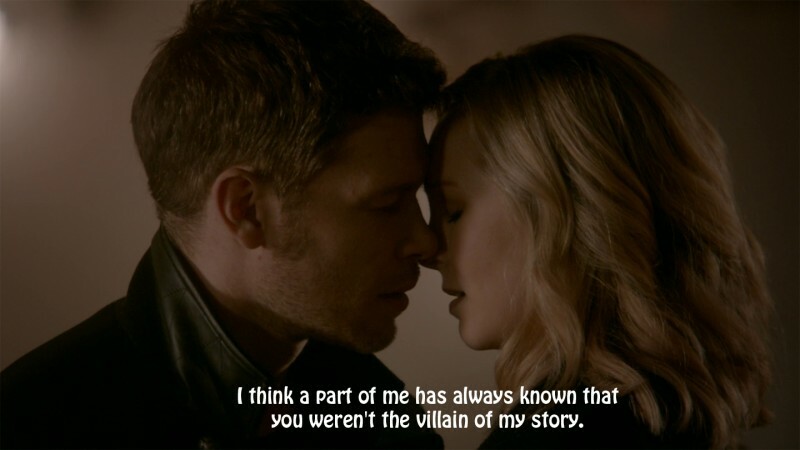 A villain who got his own spinoff show: The Originals in 2013. The Vampire Diaries finished airing March 10th 2017 after 8 seasons. The Originals will end it's run of 5 season on August 1st, 2018. In the final season of TVD's Caroline got Married in Widowed in the same day. Due to timeline jumps, and I guess it's more fun to have a 15 year old and not a 5 year old the current year is: 2026. And vampires don't age so... occasionally they have loopholes that bring children though. You really had to be there for the ride(s). In the End they found 'peace' on TVD, and I'm sure that is the goal for The Originals as well. However a new spinoff starts in October called: Legacies. And it will star Hope, Klaus' then 17 year old daughter, as 2 years will have passed since the final episode of The Originals making the year: 2028. In short Julie Plec is insane and needs to just stop already. Plec will also be inflicting the masses with a Roswell reboot. Why? Who the fck knows. She's a nut job. Parsons, Trevino and St. John will be appearing in the series however, that's Jackson, Tyler & Dr. Whitmore. The trailer is like it's ripped right out of the original series and the fans are livid.